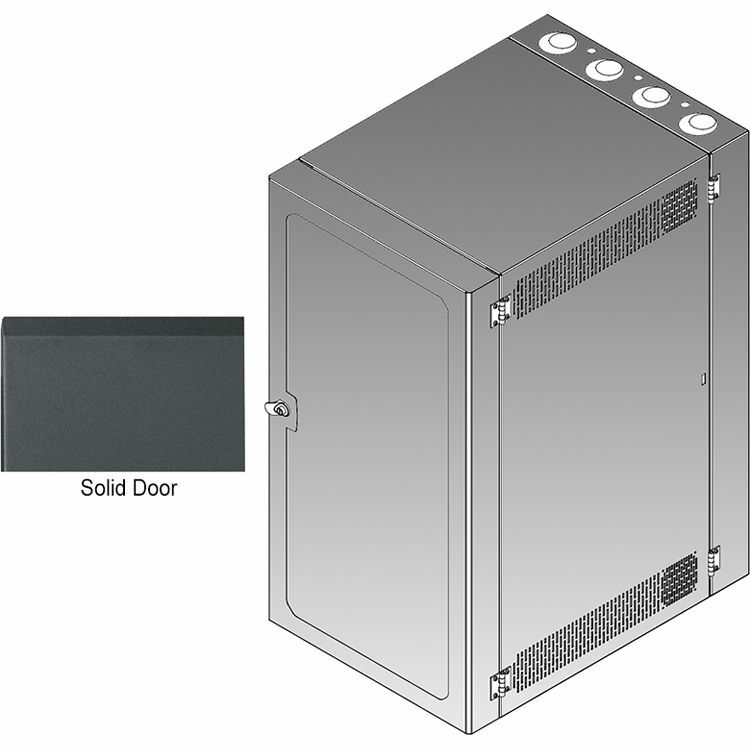 The CWR Series 12-36SD4 Cabling Wall Mount Rack with deep solid front door from Middle Atlantic is a 26" wide cabinet designed for accommodating rack equipment and cable installation. A wide-face rackrail comes standard in the cabinet and is set back 4" from the door, leaving room for cable management. Tapped with mounting holes and electrical knockouts, as well as featuring 4 d-rings, the rail is designed to provide easy and convenient installation of your equipment. The rack door can be installed as either left or right handswinging and can be locked and latched for security. The deep door leaves room for additional front cabling before reaching the rackrail. The swing open center section allows for accessing your equipment from the front or rear, and the back panel has a 12½ x 12½" cut-out for installing an electrical pull-box. A passive thermal management fan kit can be installed if additional heat dissipation is required.